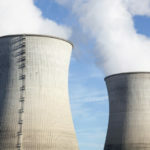 In the canton of Geneva a clear margin of voters were in favour of a fast exit from nuclear power production. At 13:24, with 98% of votes counted, 59% were in favour, 18% more than the 41% against the initiative. 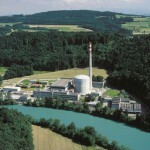 The canton of Geneva has no nuclear power facilities. 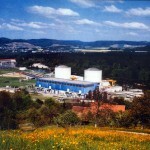 The nearest reactors are the Bugey facility in France, around 80 km from the centre of Geneva – pictured above. A majority of voters in Vaud supported an early exit from nuclear with 55% in favour – see results by commune here. Across the country, most other cantons have rejected the initiative and it is almost certain that the federal referendum with be rejected. For realtime results in the Canton of Geneva click here.